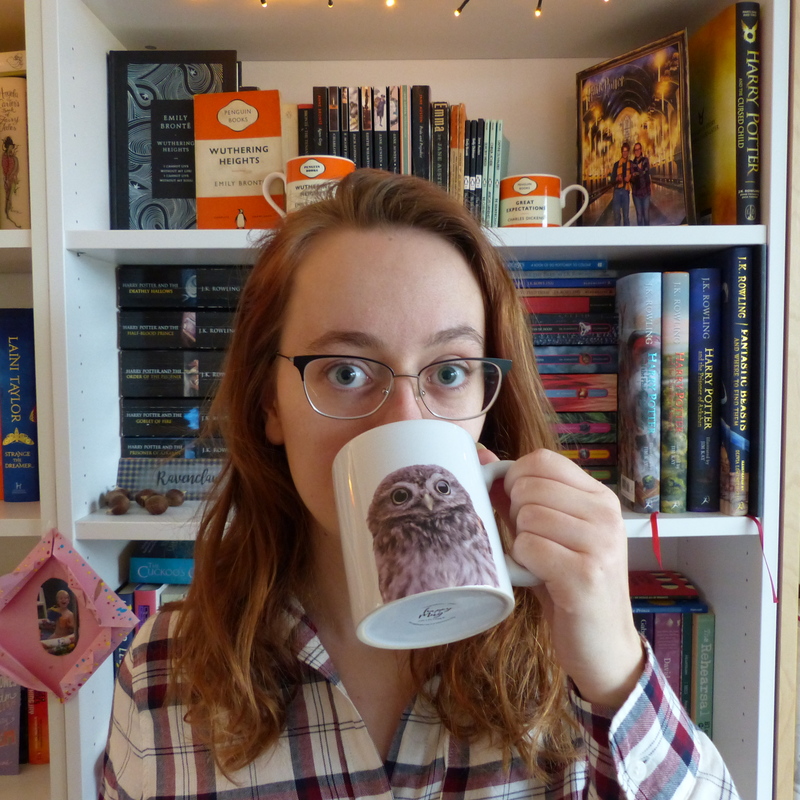 Disclaimer: this post contains spoilers for the Harry Potter series – although, to be fair, if you haven’t read it yet but are offended by HP spoilers, that’s kind of your own fault, isn’t it? There’s a hashtag trending on Twitter today – most of you will have probably seen it: #HarryPotter20. In case you missed it: 20 years ago today Harry Potter and the Philosopher’s Stone was published. Every other post on any of the social media seems to be about how Harry Potter changed someone’s life, or shaped their future – it’s kind of heartwarming. So I figured I’d jump on the bandwagon. Because (surprise, surprise) Harry Potter has been a huge part of my life as well. This morning, I tried to remember when exactly I was introduced to Harry and J.K. Rowling, but I wasn’t sure. I do remember that I got the book as a present for my birthday one year (so it must have been October), and that that was the first time I’d heard of it. I checked the publishing information for that same copy, and that particular copy was published in 2001 – so let’s go with that! Four years after its original publication, Harry entered my world – in Dutch, mind you; it wasn’t until years later that I got to know “Hogwarts” instead of “Zweinstein” and “Diagon Alley” instead of “Wegisweg”. Reading Harry Potter became a night time ritual as my parents read the books to me before bed. I think we did this for at least the first three books, even though I was definitely old enough to read them on my own. It was something we did with the three of us and that remains one of my fondest memories to this day. I’m pretty sure my parents were just as into it as I was, to be honest. I think I read the last three books as they were coming out, but I wasn’t as fast as some of my friends (or should I say supposed friends), because quite a few major plot points were spoiled for me. I still remember where I was when a class “mate” told me Sirius died at the end of Order of the Phoenix. I KNOW. I was devastated! Same happened with Dumbledore at the end of Half-Blood Prince – only this time it was my cousin. MY OWN BLOOD. Luckily, nothing about Deathly Hallows was spoiled for me (about damn time). Reading that last book was like a rollercoaster of emotions and I remember feeling pretty numb after finishing it. The last book. What now? That’s ten years ago this year. How crazy is that?! That feels even more insane than Philosopher’s Stone being published twenty years ago, actually. During high school I had a couple of friends who were Harry Potter-fans as well, but not all that many, really. I’ve always wondered if that was simply due to my friend group of school class, or if Harry Potter was actually less popular in the Netherlands than it was elsewhere. After high school, I decided to study English at university, and that’s when things really changed, Potter-wise. Nearly all of the English major people (or at least the ones I hung out with) were huge HP-fans. Most of my closest friends know just as much about the series and the world as I do (or more), which is the best! It’s a lot more fun to fangirl together, which is also part of why I started this blog. To this day, I still read the books, watch the films, and have discussions with friends about the plot, the different houses (I’m a Ravenclaw, by the way) and the characters. The books have the ability to comfort me when I’m feeling down, or when I need something familiar and safe. They still tear my heart out as well, though. It’s pretty special that a story can do that after so many years and so many rereads. It’s really cool to see the huge influence Harry Potter has had on so many people. I can’t even begin to imagine what my life would be like without it. Maybe I’d be the same person entirely, or perhaps I’d be totally different. Harry Potter taught me a lot of things – about love and compassion, and fighting for what you believe in. It also first introduced me to being passionate about a story or a book, and what it’s like to share that with others (friends I might not even have made if it wasn’t for Harry Potter). In short: J.K. Rowling is amazing, Harry Potter is cool and I love them both a bit of a lot. The Harry Potter reminiscences I’ve been reading are definitely heartwarming. Thanks for sharing!